Do you sing in a choir? A vocal ensemble? Would you like to perform “We Love the SDGs,” the popular song by Alan AtKisson? Thanks to Miles Plant, a graduate teaching assistant at Arizona State University, we can now provide you with a full choral arrangement. Free to all who want to use it. 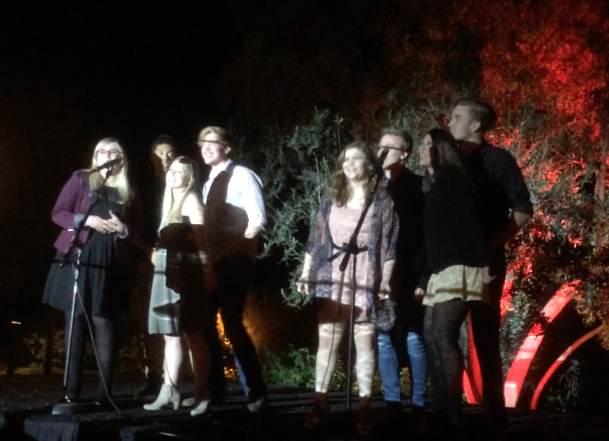 This arrangement is also tried and tested: it was performed by an ASU vocal ensemble at the closing celebration of 2017’s Sustainability Solutions Festival, in connection with the GreenBiz17 conference, in February 2017. “It was a wonderful experience for me,” says Alan, who was invited to introduce the performance, but then was able to sit back and watch. “This was a very talented group of singers, doing a fresh version of the song and getting everyone around me tapping their feet and nodding along, with big smiles on their faces.” Alan arranged with Miles Plant, the group’s director and arranger, to put a free version out to the world via 17Goals. 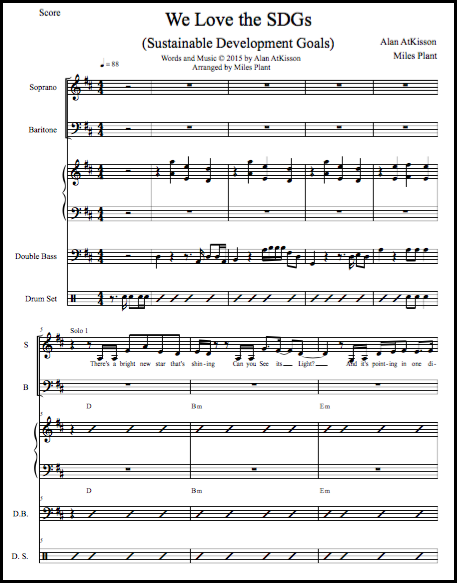 To download the FREE sheet music in PDF format, please click here. You can also listen to the original music video here on YouTube, or download the single from iTunes. 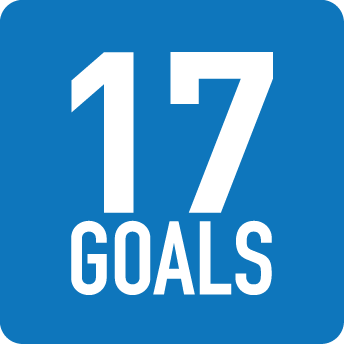 And don’t forget to let us know if you use it, and especially if you record your version, so we can share it on 17Goals! The ASU ensemble performing “We Love the SDGs,” Feb 2017.